hi friends! this is a 'sort-of' diy i guess. just a cool way i've been organizing my etsy orders that i thought i would share. i drew out the letters for 'etsy' and did some lines around the edges to look like stitching. i stuck two push pins into the wall then wrapped and tied my yarn around them leaving enough so that the yarn would droop a bit in the middle. you could use nails if you prefer. i recently acquired an old label maker (hooray!) so i used it to make my labels. 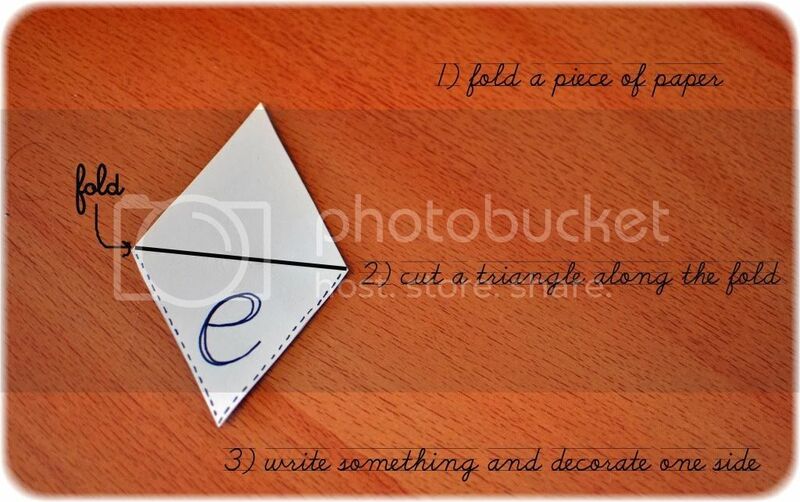 you can use stickers, write or print on bits of cute paper, etc. 'make' is for custom orders that i need to finish, 'pack/ship' is for completed items that need to be lovingly packaged and sent on their way and 'waiting' is for items that i'm waiting on for some reason (specifics, payment, etc). you can make labels that work for you! you're ready to fill the clipboards with all of your etsy orders! I print out my invoices and stick them into the appropriate clipboard so i always know what's up. another little tip: if your packaged items are small enough you can hang your ready to ship envelopes from the 'pack/ship' clipboard. i ♥ doing that. 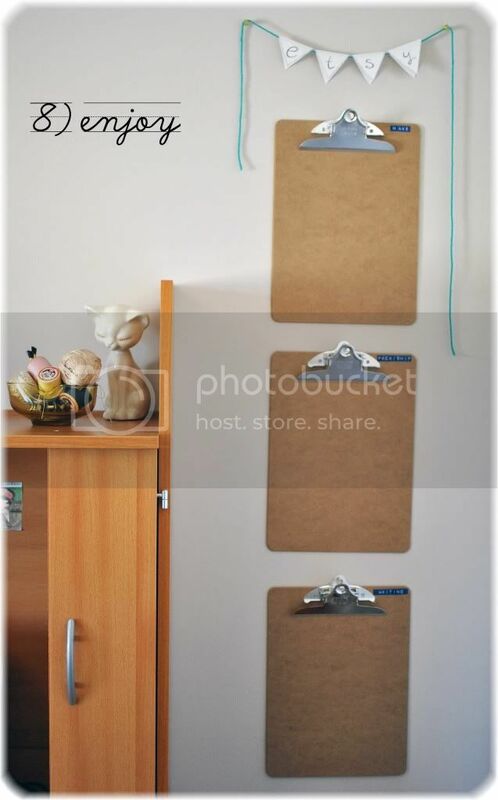 Looks awesome, it's a great idea to use those clipboards! 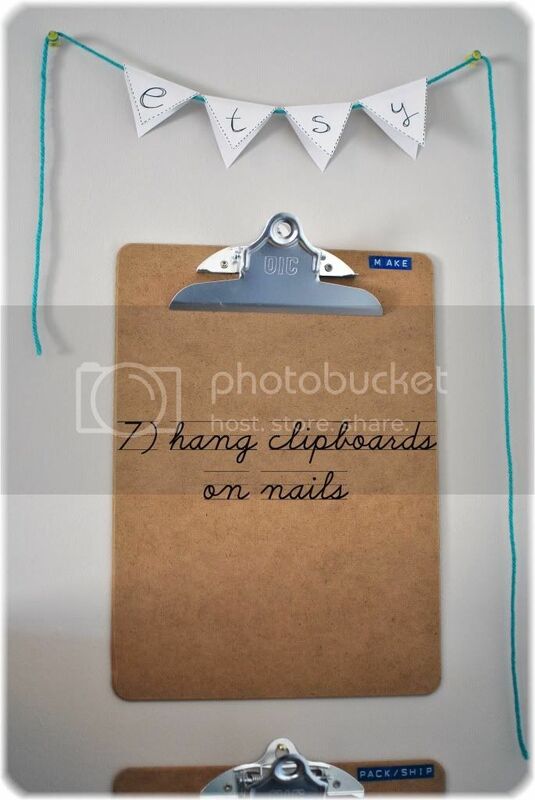 I did something similar with my three "inspiration" clipboards! I used blue and red dymo tape :) Cute way to stay organized! your first diy was fantastic. :-) keep posting them! LOVE it. 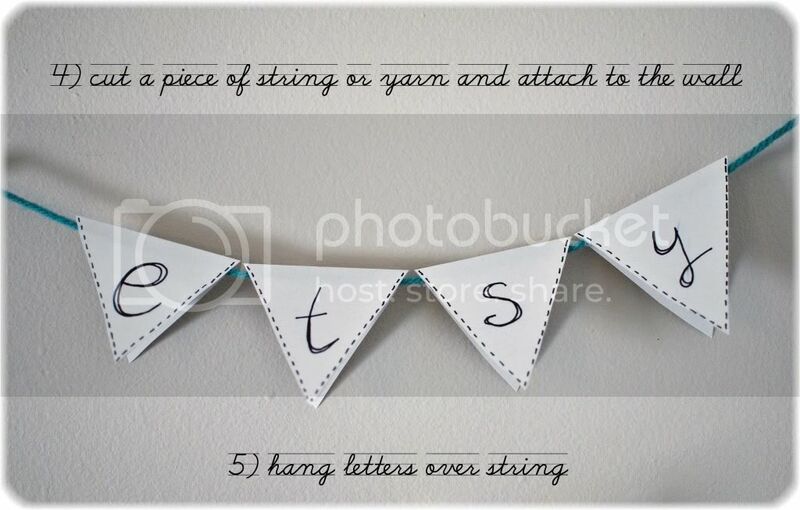 Definitely doing this in my room :) thanks for the awesome, easy, quick and cheap DIY! so cute! 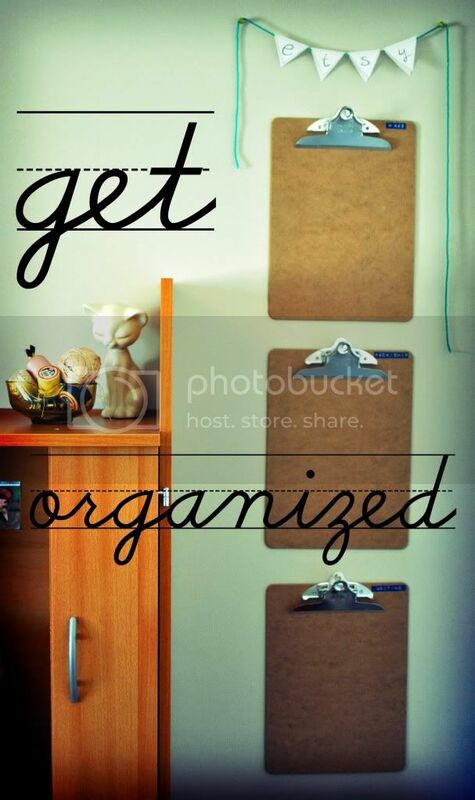 lord knows i need to get organized. i'm still trying to get the swing of things selling on etsy. i'm mega organised so things like this cheer me up. It's for sure a DIY! i've been planning for a similar idea, for an inspiration wall. but i love the idea of the little banner! that will definitely be incorporated into the design now. thanks for sharing, you sweet little crafty gal! This is so simple yet creative! Love this idea! Thank u for sharing! Cute! And great idea, thanks Elycia!